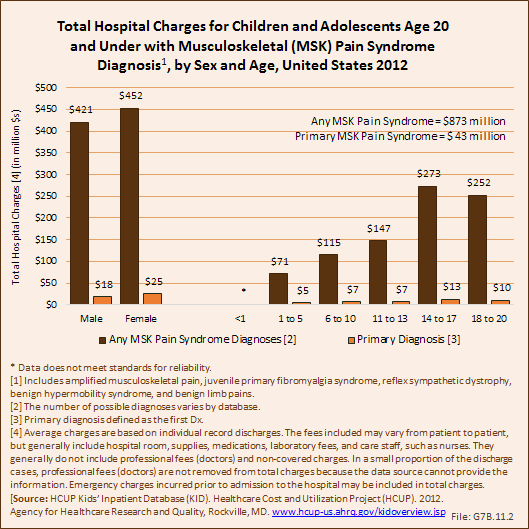 It is important to note that the overall cost of musculoskeletal conditions in the 20 years and younger population is much greater than just hospital charges. 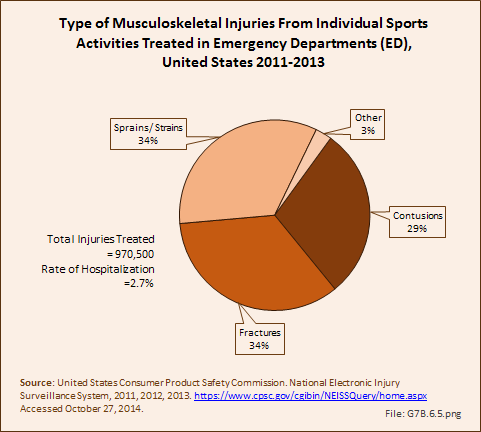 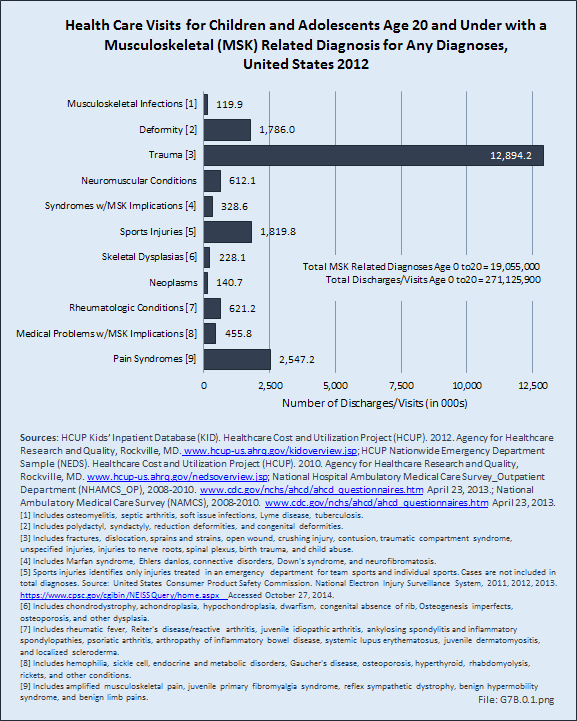 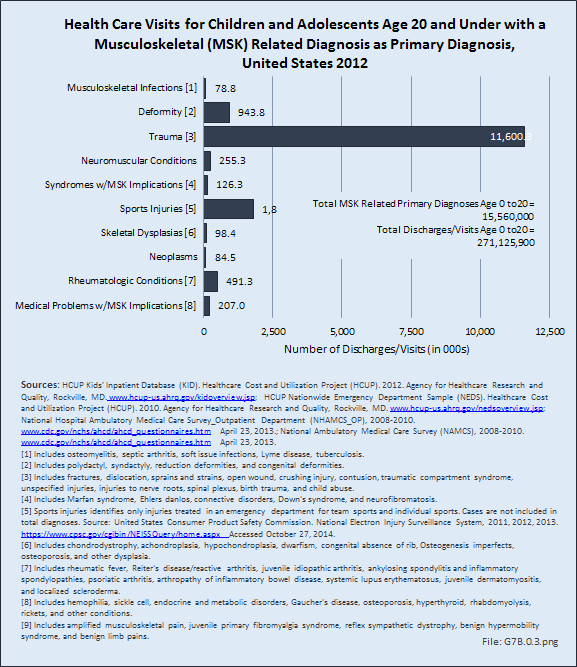 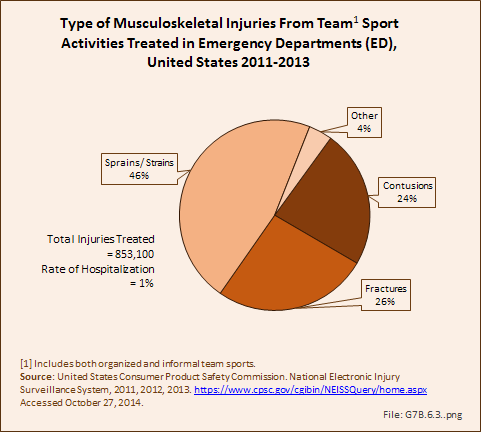 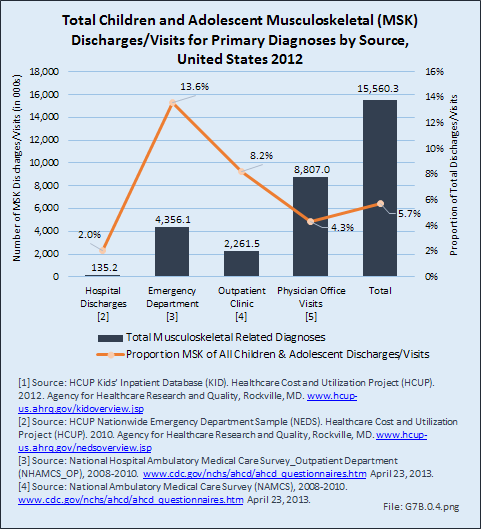 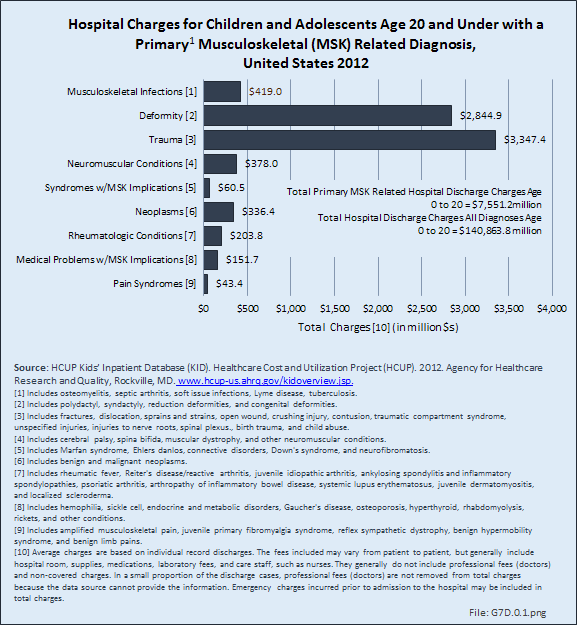 First, the $7.6 billion includes only hospitalizations with a primary, or first, diagnosis in the databases, representing less than 1% of 2012 health care visits with any musculoskeletal condition diagnosis. 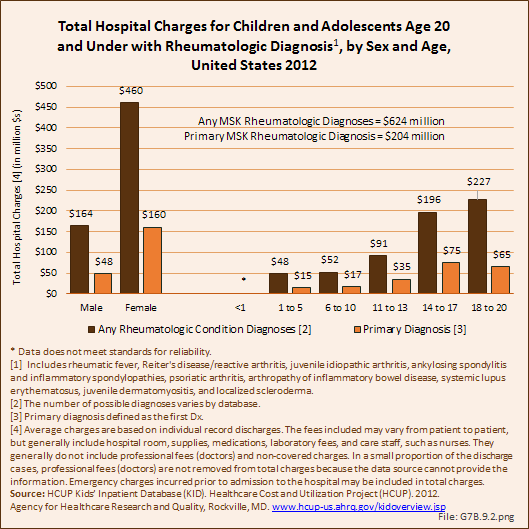 Not included in this burden are expenditures for visits to emergency departments, outpatient clinics, and physicians’ office, as well as other medical care expenditures such as physical therapy, rehabilitation, and medications. 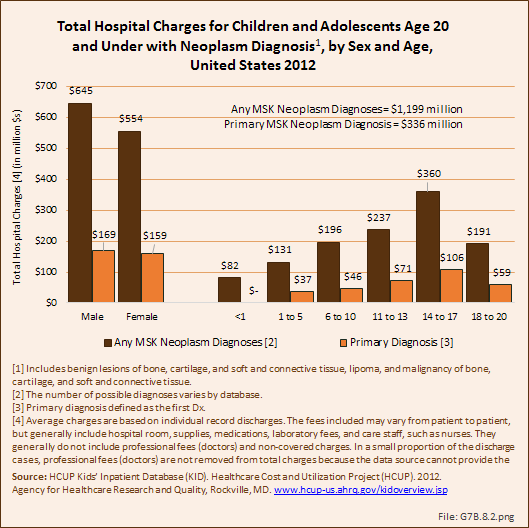 While gender is not a factor in the distribution of hospital charges, age is a major contributor. 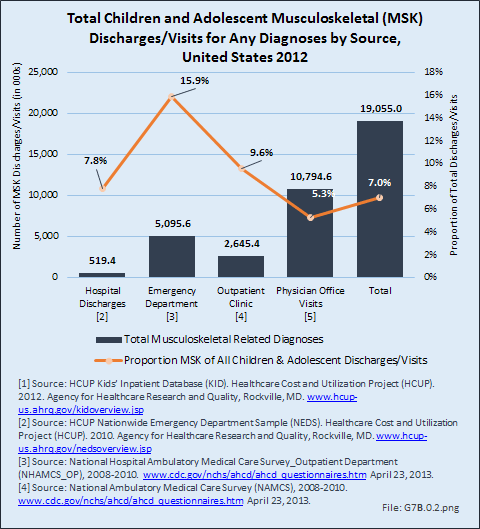 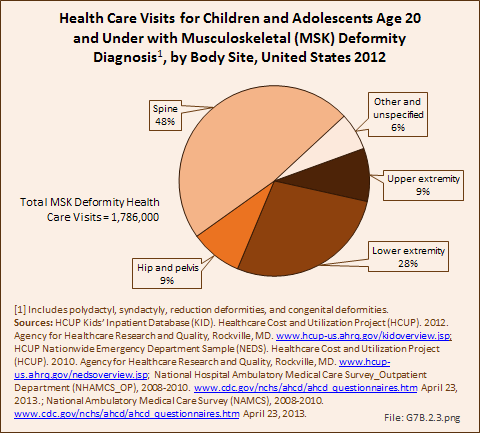 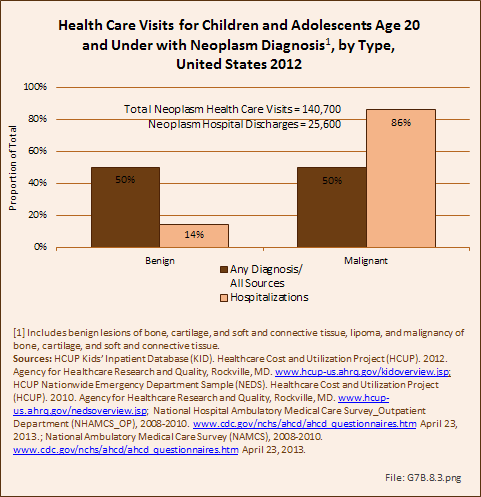 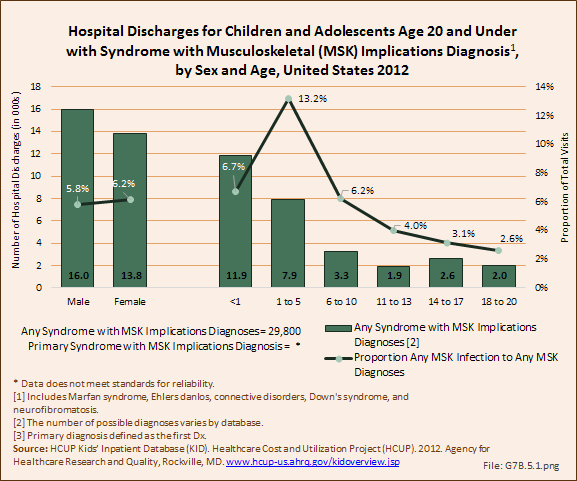 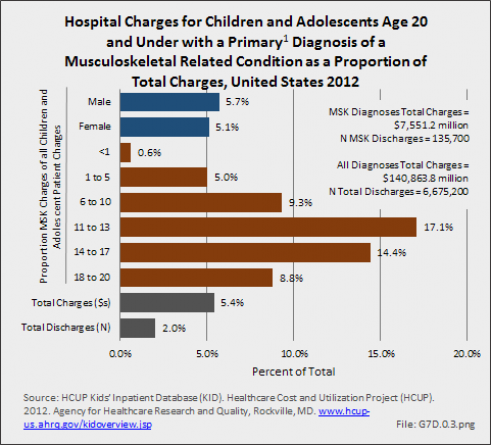 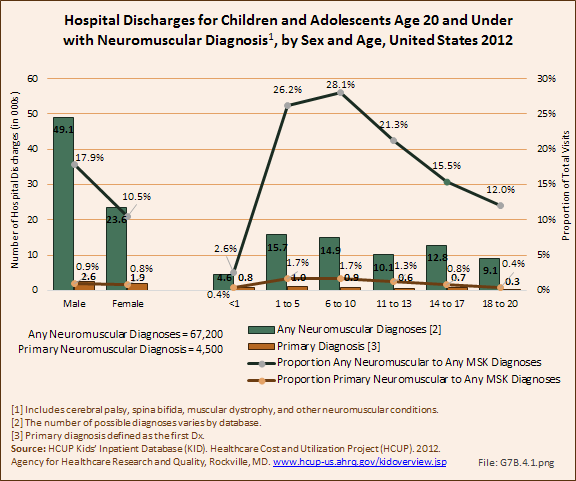 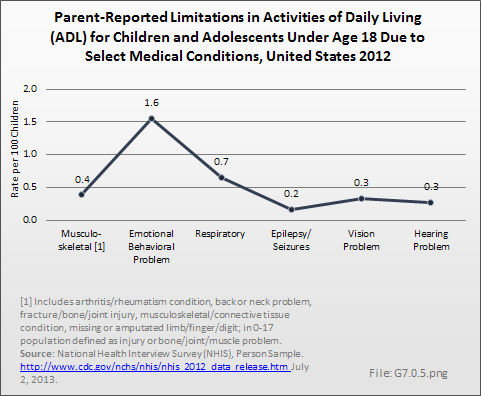 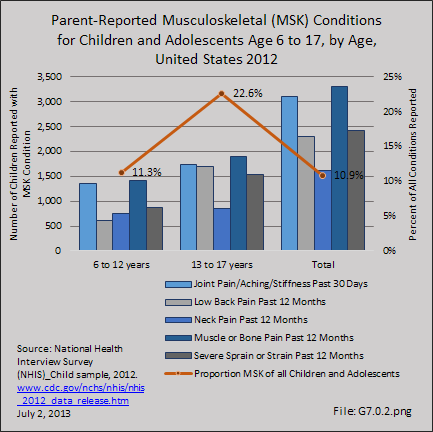 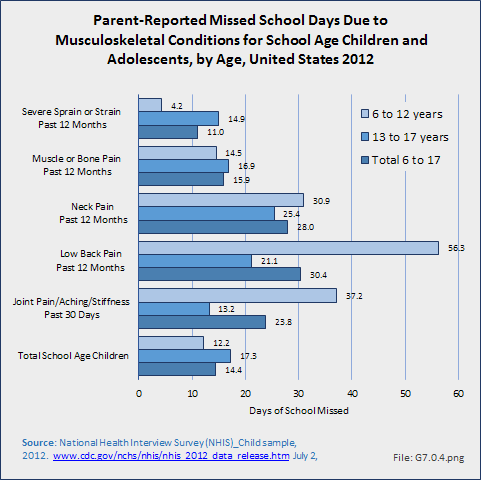 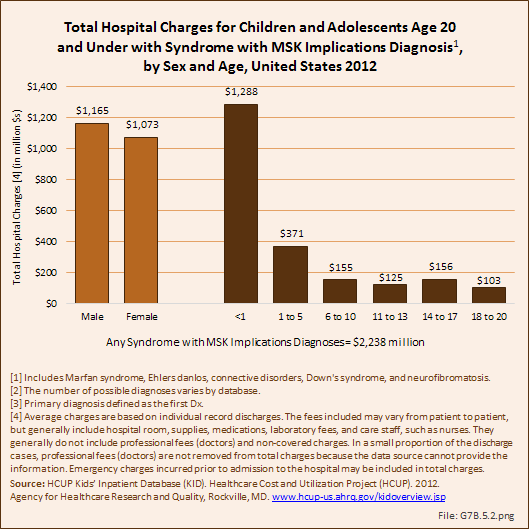 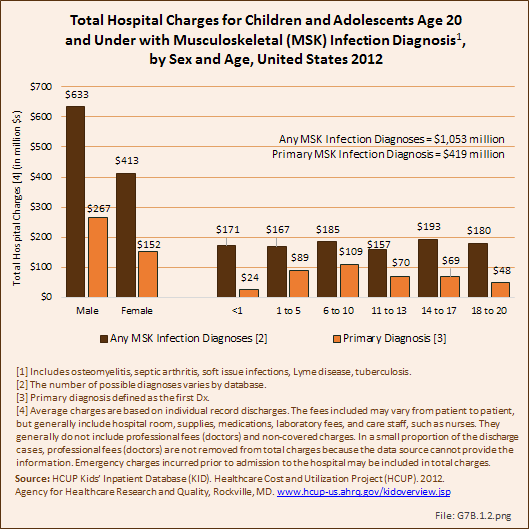 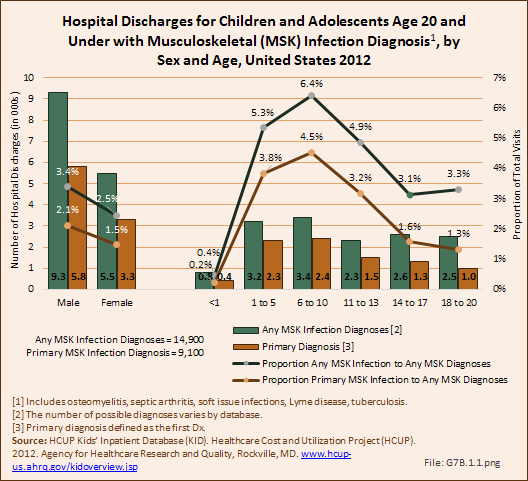 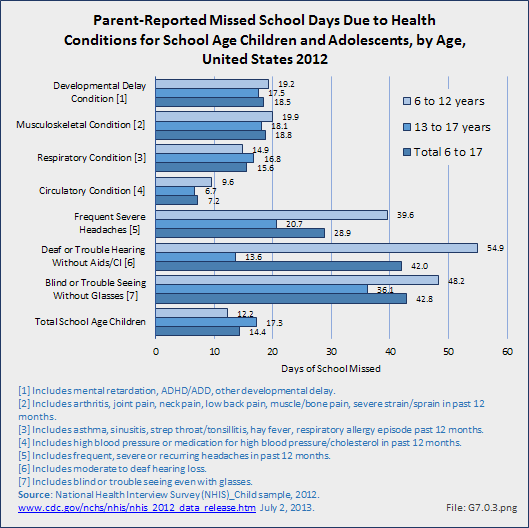 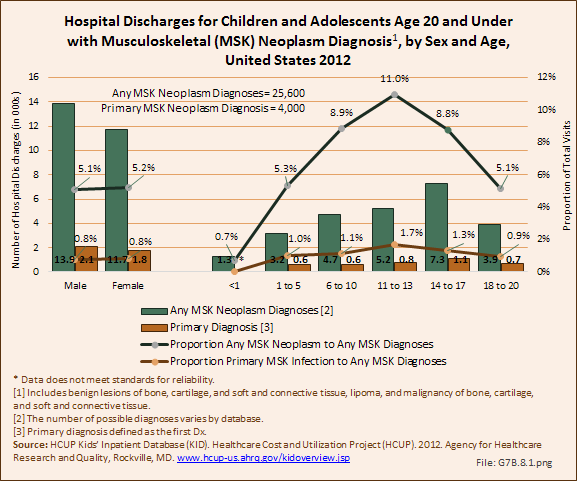 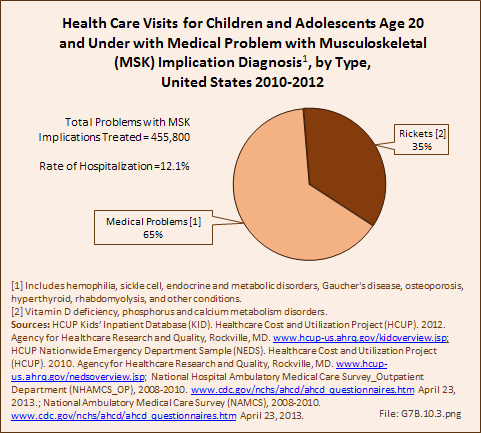 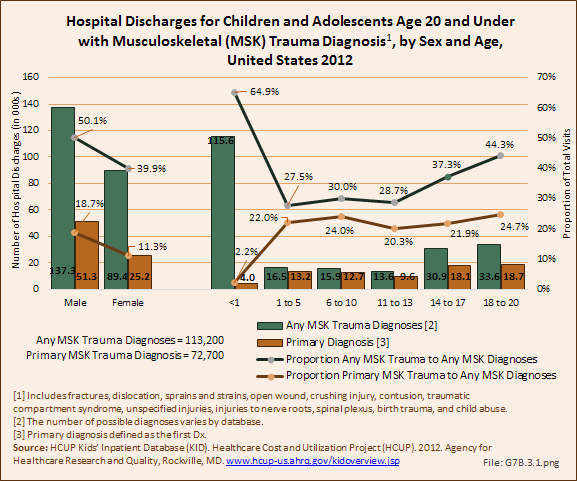 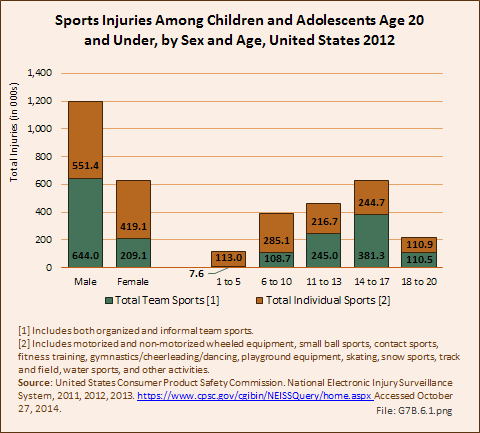 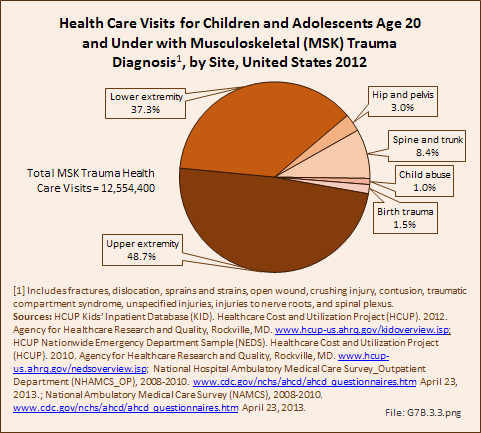 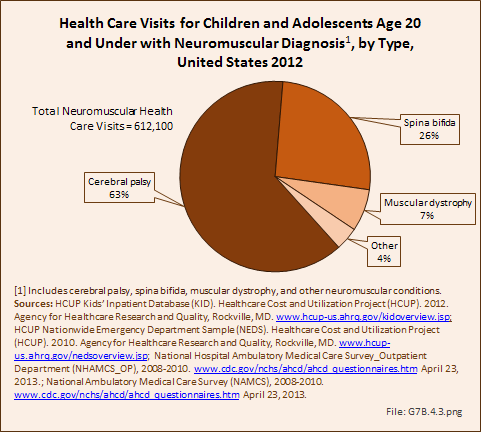 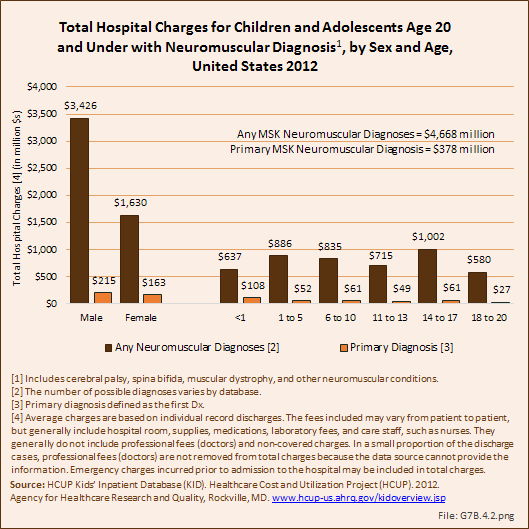 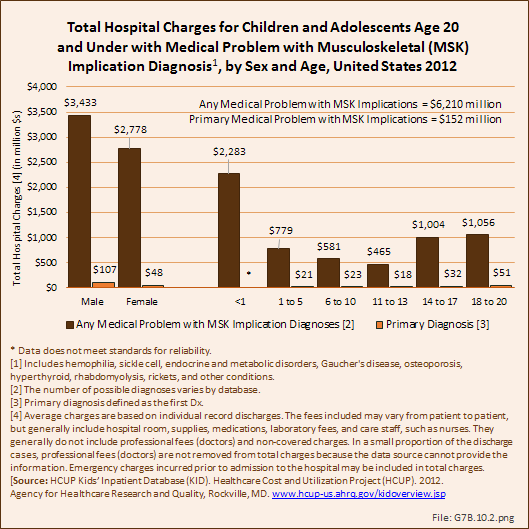 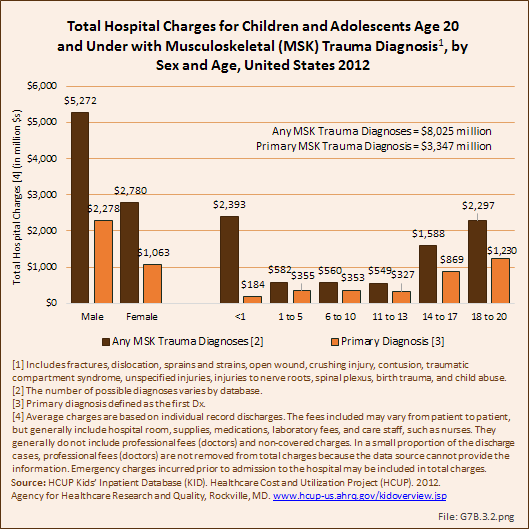 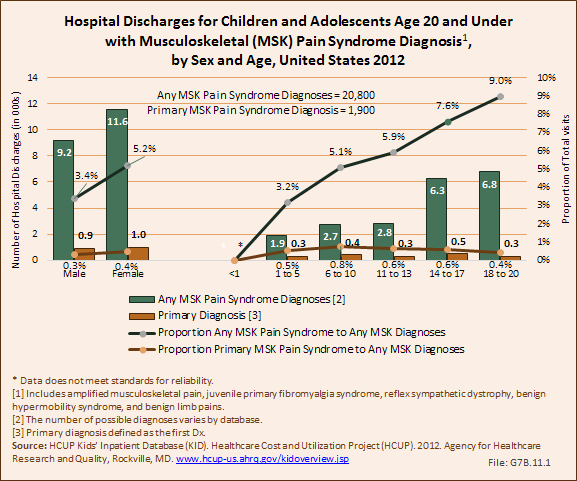 Children in the middle years of childhood, especially ages 11 to 13 years, have a higher share of total hospital charges (17%) due to musculoskeletal conditions than any other age group. 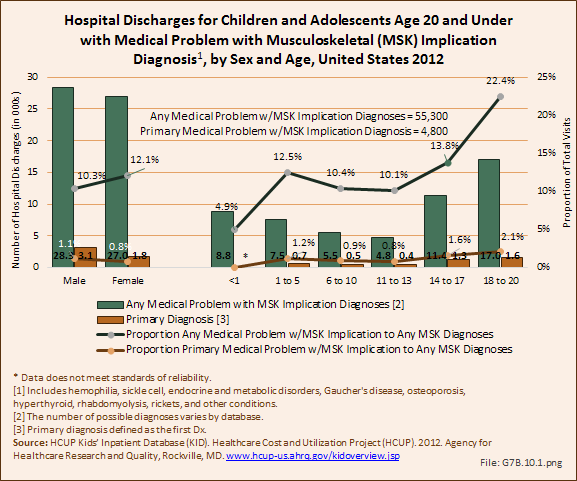 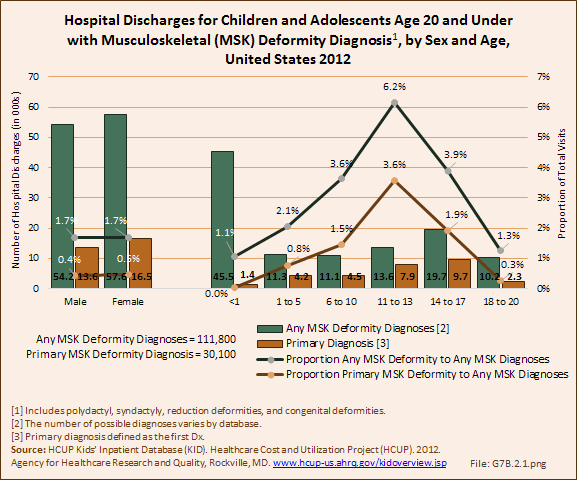 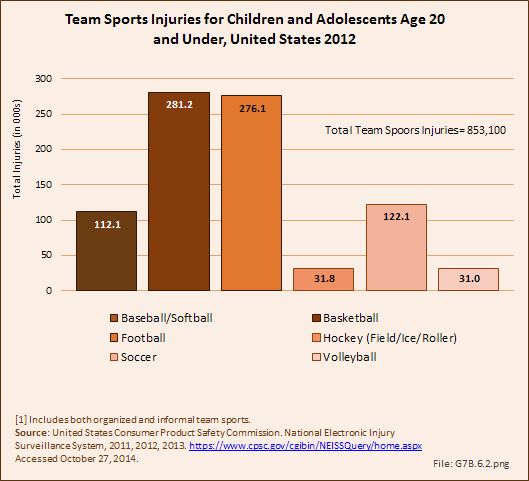 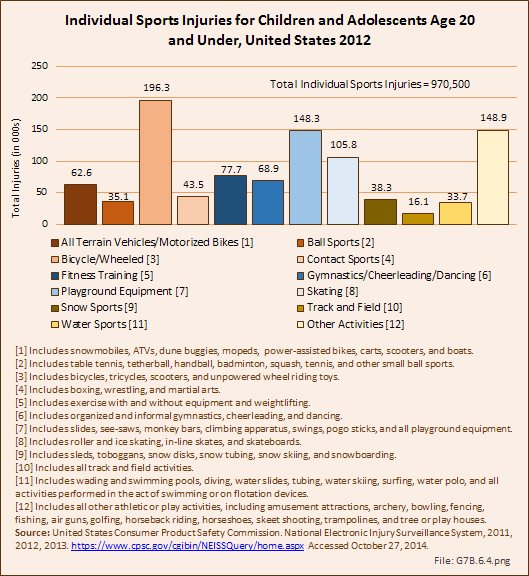 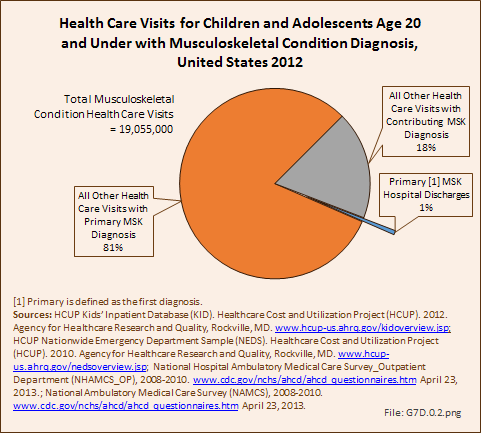 Musculoskeletal condition hospital charges are also a higher share for those age 14 to 17 years (14%) and ages 6 to 10 years (9%).